Please note that I'll be away from my shop until July 18th 2018. Sales of parts are suspended until my return. Custom parts orders may be submitted and will be reviewed in the order received upon my return. Thanks. *All export of true rosewood parts beyond the US borders is suspended indefinitely due to CITES listing. These include Brazilian rosewood, East Indian rosewood, African blackwood, kingwood, tulipwood and cocobolo. Sales within the USA are still allowed. Pass the cursor over any small image to see it expanded in the center. 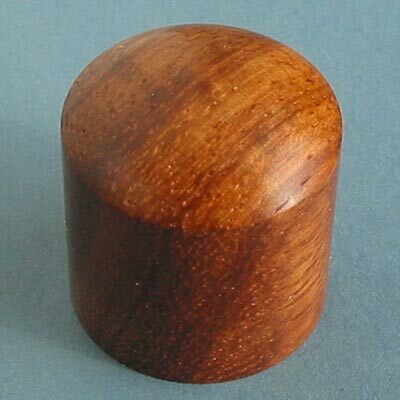 Clicking on the wood's name underneath the small image will take you to the Paypal "Buy it now" page for that knob.